CRAZY DISCOUNT! 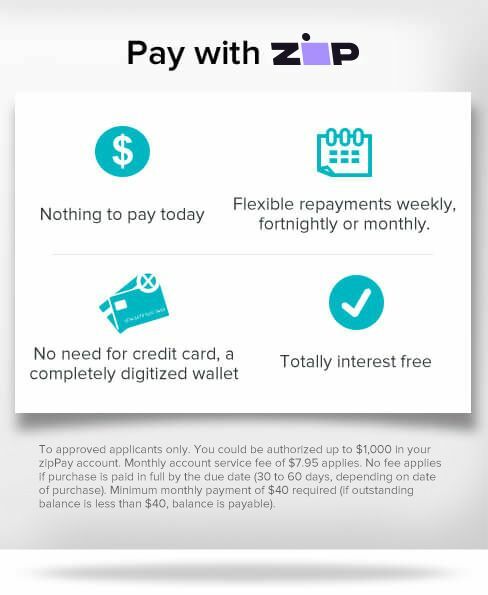 Was: $899.95 Now: $499.98! 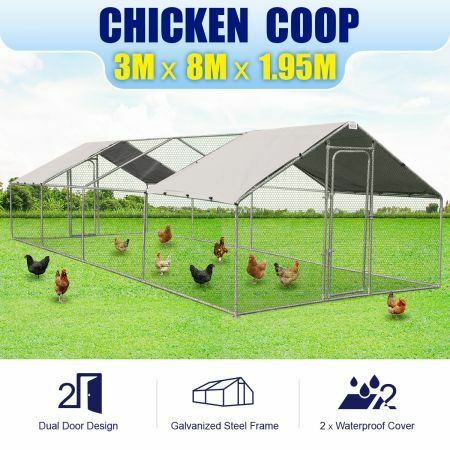 The 3m x 8m x 1.95m Super Large Metal Chicken Coop provides ample space for the animal to run or exercise as well as enjoys the sunshine and fresh air in the outdoor, which could make them grow healthily! 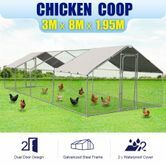 Consisted of a hot-dipped galvanized heavy-duty steel frame with fence chain link mesh, the pet playpen is strong sturdy and enclosed, ensuring a stable and safe house for the animal. At the same time, equipped with two pieces of fully waterproof gable roofs, it keeps the animal from the UV and the rain if they want. 2 pre-assembled gates are great to access for cleaning up or feeding. It is suitable for chicken, duck, rabbit, guinea pig, ferret and other animals. Ideal for private homes, farms, pet rescue shelters, or pet hotels. And easy-to-assemble pet enclosure is must have for pet keeper. Great customer support but delivery in three parts was concerning. All good. This product comes with a 180 Days Manufacturer's Warranty, please click here for details.